This is a book about how we learn where we live. In 2002 Steven Nightingale moved with his wife and baby daughter to Granada, Spain. They bought a house in the ancient barrio of the Albayzin, near the most celebrated Moorish palace in the world, the Alhambra. The Albayzin is a beautiful labyrinth, the heart and origin of Granada, and Granada is one of the iconic cities of the world. It stands for the culture of Al-Andalus, composed of Moslems, Jews, and Christians, who lived together in the legendary convivencia of the Spanish Middle Ages. To live in Granada is to share in a strange, luminescent history. 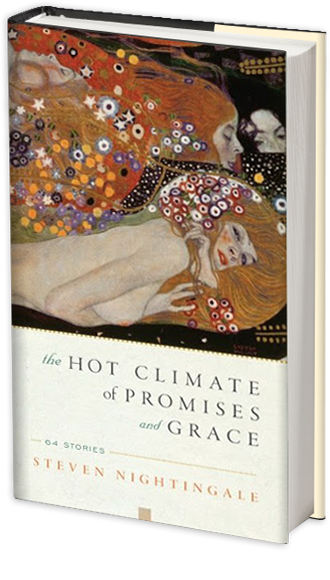 It is full of art, science, honest work, savagery, intrigue, and murder; it sings with the best poetry of medieval Europe, and offers adventures of soul in quest of a permanent and life-giving reality. It holds the legendary Islamic tilework, sacred art of the Alhambra. It stands for all the pageantry of medieval Al-Andalus, a period in Spanish history which brought to Europe the first modern translations of Greek philosophy, advanced mathematics, science, medicine and music. Al-Andalus was Europe’s intellectual vanguard, a period whose genius can be compared only with those of classical Athens, Ming China, or Renaissance Italy. 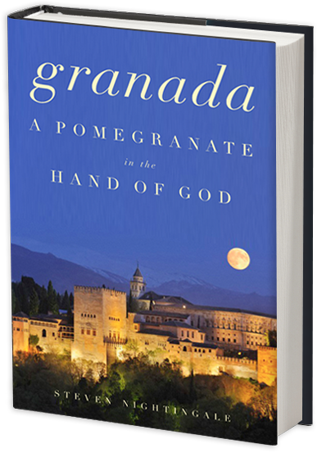 Yet along with a study in hope, Granada is a study in destruction: Ferdinand and Isabel’s triumphant conquest of Granada in 1492 meant the slow death of Al-Andalus, and disaster for Spain, the richest and most powerful country in Europe. We can learn, in Granada, the way such death is administered, by means of the florid, intricate hatred of the Spanish Inquisition, and a masterful religious fundamentalism imposed by the highest power in the land. In the story of the Albayzin and Granada, Nightingale finds our story, all its violence and possibility and beauty, its spiritual longing and artful dreams; its uncanny energy, political intrigue, and scorching anguish. It is a story that shows how we can work together, and the world we can create together. And it shows just what kind of politics can destroy our best work. Finally, right in the Albayzin, among its hidden plazas, shadowed stairs, and infinite narrow cobbled streets, it offers to all of us a last powerful lesson: the secret in the labyrinth.